Sony is to breathe more life into the Xperia PLAY after its Playstation Suite plans were reiterated at the Tokyo Games Show 2011. If you remember we first heard of the Playstation Suite back in January, but have not heard much since. The PS Suite aims to deliver Playstation content to ‘Playstation Certified’ devices through a walled garden in the Android ecosystem. Four Playstation Certified devices have been announced so far. Apart from the Xperia PLAY, this includes the Playstation Vita gaming handheld and two Sony Android tablets – the Sony Tablet S and Sony Tablet P. Sony today announced that the Playstation Suite SDK (software development kit) will become available in November with games expected in Spring 2012. 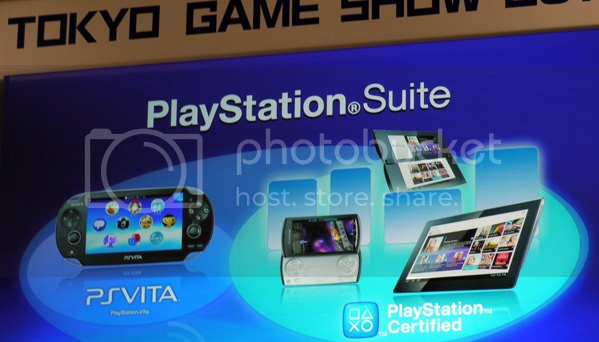 This is great news for Xperia PLAY owners as it means content designed for the Playstation Vita through the PS Suite will automatically become available to all other PS Certified devices. This was demonstrated at TGS by Sony’s Kissei Matsumoto who called two developers to the stage to play a side-scrolling shooter called Zero Gravity, one using a Vita and the other a Xperia PLAY. There was apparently no noticeable difference, with the game running smoothly on both platforms. Whilst Spring 2012 seems some way away, Sony will introduce content for PS Certified devices via the Playstation Store on the Playstation Network at the end of October. Initially this will start with original PS one classics. We’ve already seen a number of these games hit the Xperia PLAY, but here’s hoping this library will be ramped up. The service will start in nine countries including Japan, United States, Canada, United Kingdom, France, Germany, Italy, Spain, and Australia and with more countries to follow.